Before I start, don’t you think November went through so fast? If we thought October did, November was faster. December is already here (technically, ho ho ho). Well… let’s get serious 🤓. The premise on Walls, Walls & More Walls was black & white, how good they look mixed and the contrast they generate on any wall. However, on this second part, I’m replacing black and white with the rest of the colors. Wearing colored clothing and having a colorful wall in the background is a very good combination. Colors over colors match perfectly, like black and white. The secret is to not exaggerate. a. You know which are the colors of the walls. From that point, you will organize your outfit without any problems. Everything is going to be in the right place. Too good to be true. b. There’s no way to know the colors of the walls. You’re on vacations at some place for the first time in your life. You don’t know anything about it. #MyADVICE — Build a minimalist outfit: unicolor t-shirt and a blue jean or a khaki pant, with your favorite pair of shoes. Let your clothes go along with your mood. Who knows… you may be surprised. 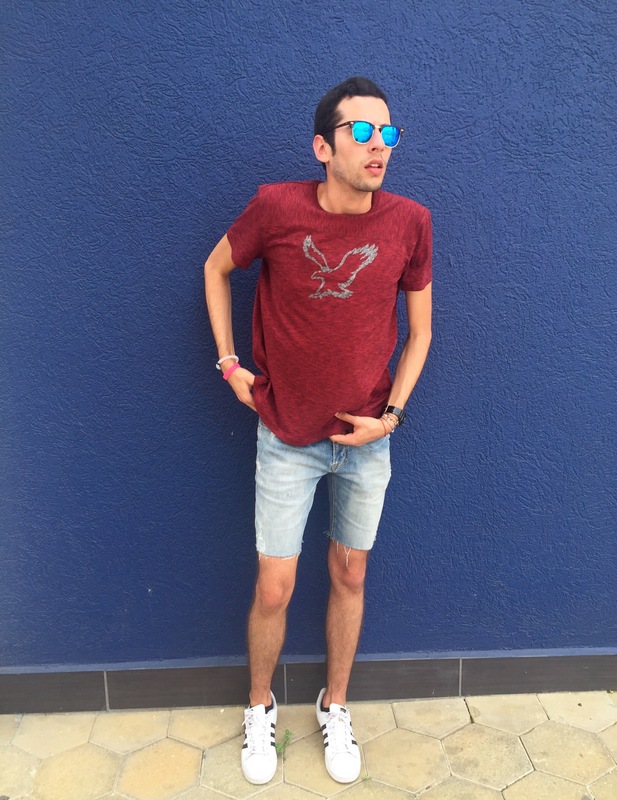 #MyOUTFIT — I’m wearing from American Eagle Outfitters’ Summer 2016 Collection a red t-shirt (my favorite kind of red) and a jean short, my Adidas Superstar and blue Ray-Ban’s. [Shoutout to my little sister, Annia, for taking me these pictures. I couldn’t miss the opportunity to take some pictures with a navy wall, my favorite color 💙]. 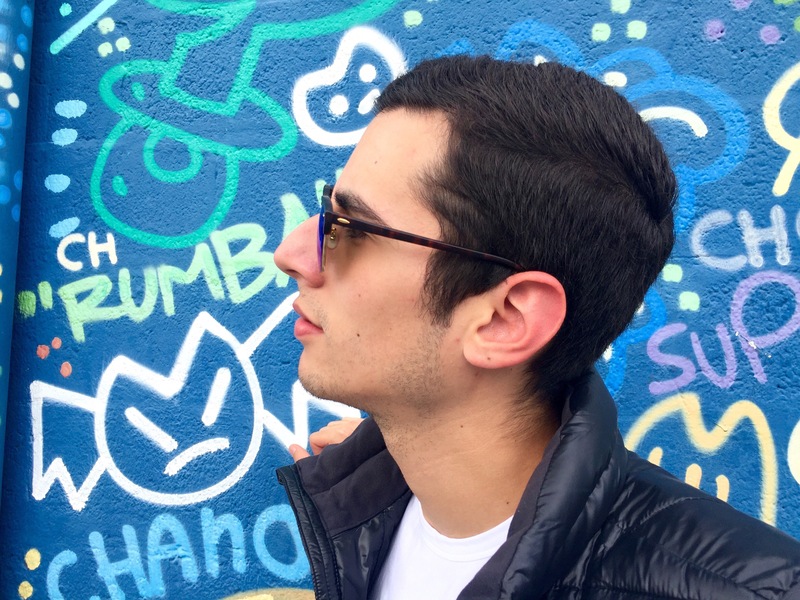 🙂 — I apologize for disappearing some days from 77IoS since my last post, the interview with The Amaranta. Lately so many things have been going on between my job and studies 😪. I hope that you enjoyed this second part of Walls, Walls & More Walls. You can leave a comment here at the end if you want to.